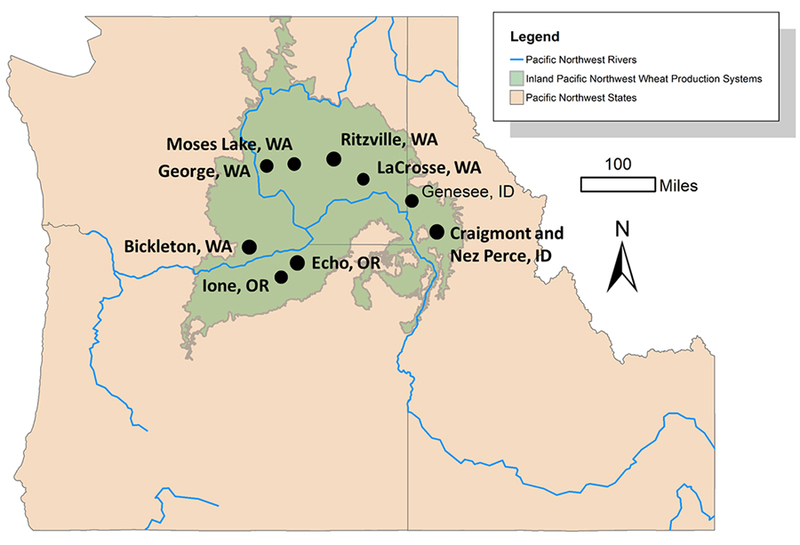 Case study mapAbundant natural resources and an amenable climate allow for diverse agricultural opportunities in the Pacific Northwest, but the same environment also poses risks. Farmers adapt to challenges in unique ways. Some of these strategies are unique to a specific location, while others are universal to agriculture. By adopting farming practices such as tillage, residue management, crop rotations, soil organic amendments and resource-use efficiency farmers have been able to overcome barriers, often in unexpected ways. Innovative approaches used by Pacific Northwest farmers to improve on-farm sustainability and longevity are being featured in a series of case studies. The REACCH Producer Survey showed that other farmers are the most trusted source of information for producers. The goal of these case studies is to inspire others to take management risks on their farms that can improve their overall sustainability and resiliency into the future, by showcasing producers who have done so successfully. Case studies are in progress and will be added to this page as they are completed. 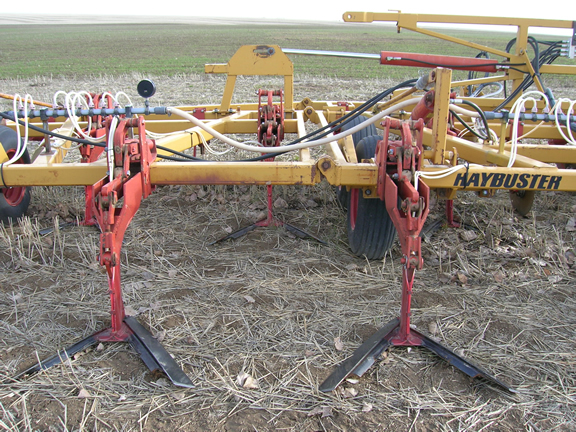 Highlights the experiences of a father-son team who use the stripper header and direct seeding to maximize water retention and residue retention in a low-rainfall area of WA. Left: The Jurises' stripper header, mounted on their combine. Photo by Hilary Davis. Features a direct-seed, OR grain farmer who produces cash crops annually in a traditional wheat-fallow system using a flexible approach based on weather and markets. In addition to increasing the overall farm profit, this system has improved weed control and increased soil organic matter on the farm. Left: Spring wheat grows in winter wheat stubble. When sufficient water is stored in the soil profile over the winter, Jepsen plants spring wheat or spring barley. Photo by Bill Jepsen. 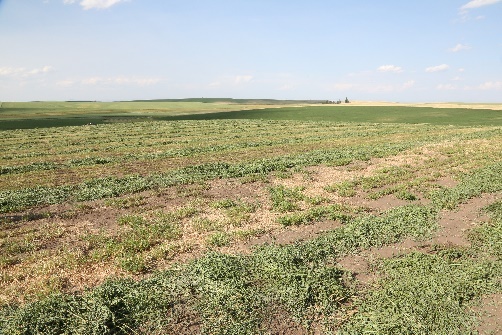 Features a husband and wife team who have been able to improve soil health and moisture retention by diversifying to a 4-5 year crop rotation utilizing unconventional crops in a low-rainfall area in eastern WA. Left: Austrian winter peas farm contrast with wheat and fallow in the background—a more common pattern for the Camps’ area. Photo by Karen Sowers. Highlights the experiences of a fourth generation, no-till grain farmer for incorporating variable rate nitrogen technology into his farm management strategy in a high-rainfall dryland production region in ID. Left: Cows grazing in cover crop. Photo by Doug Finkelnburg. Steve and Nate Riggers grow winter and spring wheat on the Camas Prairie in Idaho, but have incorporated spring broadleaf crops such as peas, lentils, and canola. 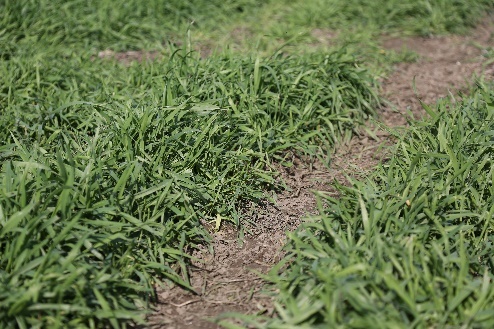 They also grow less-common crops like buckwheat, turf grass seed, crested wheatgrass seed, and alfalfa in an area that receives about 22 inches of rain annually. Trials of biofumigant efficacy at the Gies farm. Photo: Andy McGuire. 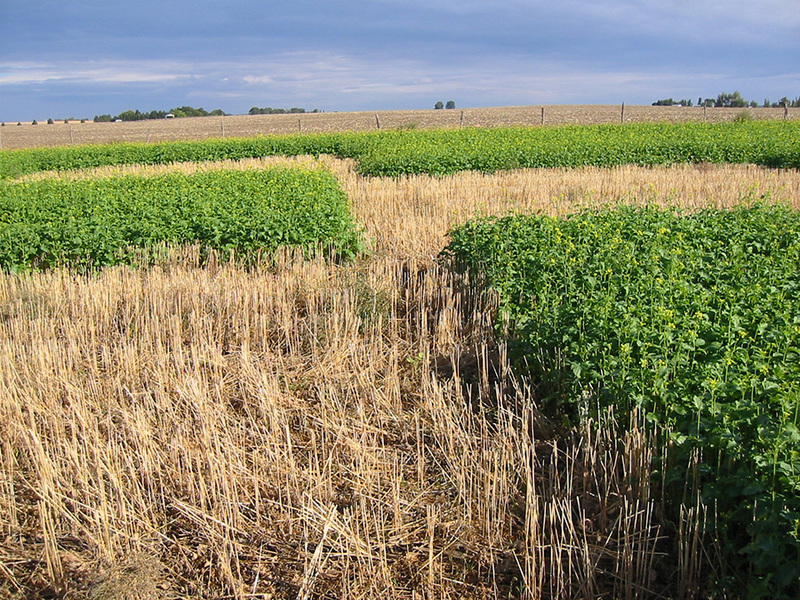 Demonstrates how a wheat-potato farmer has incorporated a mustard cover crop to act as a soil fumigant without destroying soil structure in an irrigated agriculture system in WA. 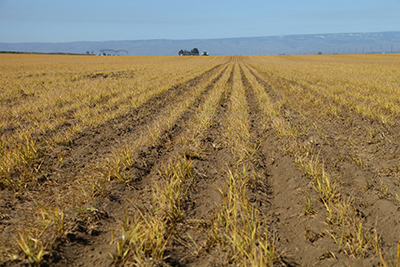 Relates unique strategies used by an Oregon farmer to cope with water limitations. 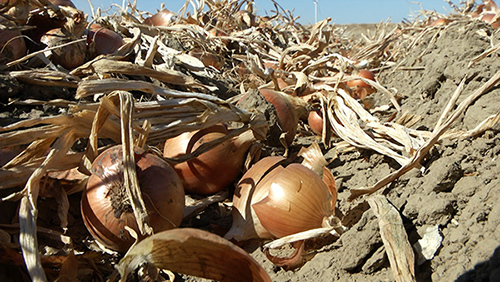 By providing wheat, corn, and alfalfa with less water than they would need to achieve maximum yields, but still enough to be profitable, this farmer saves water for the farm's most valuable crops, primarily potatoes and onions. 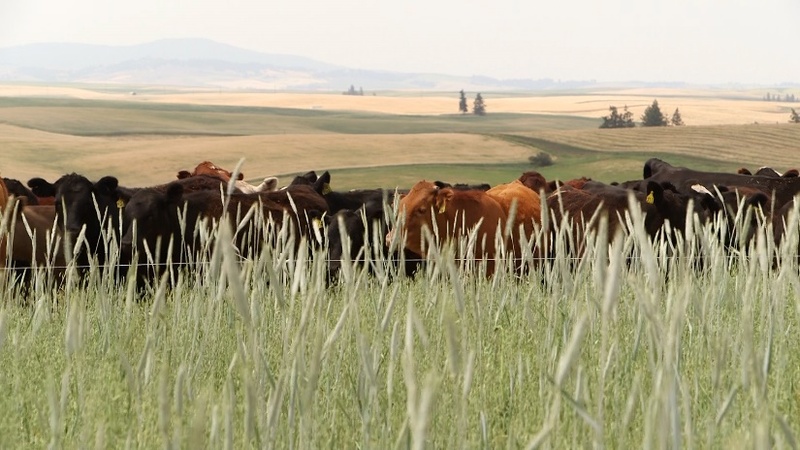 Livestock-related case studies are also available at the website of Washington State University’s Center for Sustaining Agriculture and Natural Resources. The Camp, Gies, Grigg (video), Jepsen, Jirava, Juris, Leitch, Madison, Odberg, Riggers and Williamson case studies are material that is based upon work that is supported by the National Institute of Food and Agriculture, US Department of Agriculture, under award number 2011-68002-30191 (Regional Approaches to Climate Change for Pacific Northwest Agriculture). The Grigg case study (written and video) relied on support from Western Sustainable Agriculture Research and Education Program (Western SARE). The Gies case study was completed with the support of the Laird Norton Family Foundation.